Endodontists are specialist dentists who have done 3-years extra training in the diagnosis, prevention, and treatment of diseases of the dental pulp and surrounding tissues. On completion of this, they are placed on the specialist registrar in Endodontists and officially able to call themselves an endodontist. Endodontists are basically specialists in root canal treatment. Their practices are set up with microscopes and technology to perform this to the highest standard using lasers and ultrasonics. As a specialist they must focus solely on this aspect of dentistry. How do I know whether I need to see an endodontist? If you need a root canal you will be given the option of seeing an endodontist as they perform this treatment to the highest possible standard. The success rate of their root canal procedure will be slightly higher than a general dentist for routine cases but we do most root canal therapy ourselves in our office. If we are not able to locate all the root canals, negotiate a canal or the canal system is particularly complex, there has been a perforation or a re-treatment for a failed treatment is required, then it is likely we will refer you off to see an endodontist. What problems do endodontists specialize in? What treatments do endodontists specialize in? Any endodontic treatment will be performed under local anesthetic (with sedation if required) to make the process as comfortable as possible. Root canals have a bad reputation because very occasionally there is difficulty getting a tooth numb because of the level of inflammation. 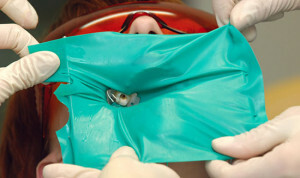 Following the procedure after the local anesthetic has worn off, some pain should be expected as the tooth has been cleaned near the end of the root. This will settle in a few days and standard painkillers should be adequate to relieve the pain. Occasionally antibiotics may be prescribed for bigger infections. Once the treatment is completed, x-rays will be periodically taken to determine the progress of its success. Healing should be visible if there was an area of infection after about 6 months to a year though it may take longer to heal fully. Following the treatment, you will be referred back to us to restore the tooth properly which if it’s a back tooth will most likely involve a crown on top of an appropriate core and post if required.